No doubt your dog is the perfect companion at home or during your walks, but how would that turn out in a completely new environment? More hotels than ever do accept pets and count on your training skills to make sure your dog behaves in public, but also in the hotel room. We’ve got five actionable tips for you to make sure your dog behaves amazingly well during your next pet-friendly hotel stay. At home, try to include a couple of weekly sessions at the mall or at new local cafes. You want to get your dog used to experiencing completely new environments so they don’t freak out next time you go away with them. Socialization and generalization are much easier at an early age but you can and should keep on doing it throughout your adult dog’s life. Oh and keep pushing the boundaries, too! When you are out on a walk, say your dog’s name and reward him as soon as he is paying attention to you. Do it in random places, at random times, using a random tone. Indeed, you won’t be able to yell in your hotel’s lobby. Rewards can be seconds of intense cuddles, or a treat, or both at different times. Just shuffle things up so your dog wants to always impress you. Avoid punishing your dogs by yelling at him or even worse, hitting him. You’ll end up with an anxious dog that will react unpredictably. The last thing you want is a dog chewing the hotel’s furniture because of an accumulation of stress. 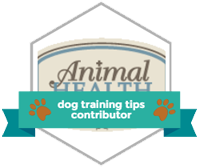 Each dog has his own specific exercising requirements — some breeds only need their daily walks while others need a lot of running. If you don’t fulfill these needs, you expose yourself to an agitated and hyperactive dog. Email your dog-friendly hotel ahead of time and ask for suitable areas close to the hotel for you to play with your pooch. Then simply wake up half an hour earlier and start the day with a tiring outing so you can have a quiet rest of the day! Also called dog puzzle toys, these will keep your dog’s brain active for a long time. Indeed, interactive dog toys are designed to challenge your dog in order to receive a treat. Studies have shown that mental stimulation tires dogs as much as physical activity. So you get it: get your pooch’s brain working and you’ll have a sleepy dog all day! Cats and dogs are extremely focused on their smell. This is how they recognize each other and express themselves. By bringing your dog’s own bed from home to the hotel, as well as some plush toys, you will create that homey feel and streamline the transition. Nine times out of ten, your dog will know his or her place is where their bed is. Your dog will feel safe and reassured. No need to bring rubbery toys because they don’t keep smells as well as soft toys. It would simply make much less of an impact. Overall, making your dog feel at home is the mission for you. Be it through toys, exercise or feeding schedule, you can’t afford breaking the routine because you are on holidays. Luckily, you are staying in a dog-friendly hotel so you can make sure your dog is part of everything you do. But don’t forget one thing: dogs do not know what holidays are! They love their routine and want to stick to it as much as possible.